If you own automated garage door in Fairfax, and there is something wrong with the Lift Master opener, whether it is a garage door repair in Washington or a garage roll up door repair in Fairfax, do not immediately assume that the problem is with the opener itself. There are many possible reasons that can make an overhead door or a roll up gate in Fairfax to look like there is something wrong with it. In many cases, the problem is from a different parts of the garage door or the gate in Fairfax, that affect the way the opener operate and moving the garage door. And sometime during servicing garage doors and rolling gates in Fairfax, we find that the problem is due to a problem with the roll door itself, rather than with the garage opener. There are many garage openers in Fairfax. From Lift Master garage openers to Genie garage openers, and there are many garage opener suppliers in Fairfax. And whenever we need to make a decision which garage opener in Fairfax to purchase and install - since there are many garage door companies in Fairfax that offer Lift Master opener supply and installation in Fairfax, we can easily get confused, and make a wrong decision when aiming for the best garage door company in Washington Fairfax or in Fairfax. Three States Garage Doors of Fairfax are here to try and assist you make the right decision, when purchasing a new Lift Master garage opener in Fairfax, combined with a professional installation for Lift Master openers, which, as we will explain soon, are our preferred garage openers brands when it comes to garage doors in Fairfax. We have been repairing and installing garage openers from Lift Master for the last 20 years. And after many years in the overhead door services in Fairfax we do not think that there is a kind of opener that we did not installed, repaired, services, and adjusted. Whether it is Lift Master, Craftsman or Genie. If you will search and ask professional garage doors technicians in Fairfax, you will find that there are many types of openers in Fairfax, when each one of the opener manufactures will say that they offer the best garage openers in Fairfax, in terms of strength, long lasting and warranty. And at least one of them must be right. 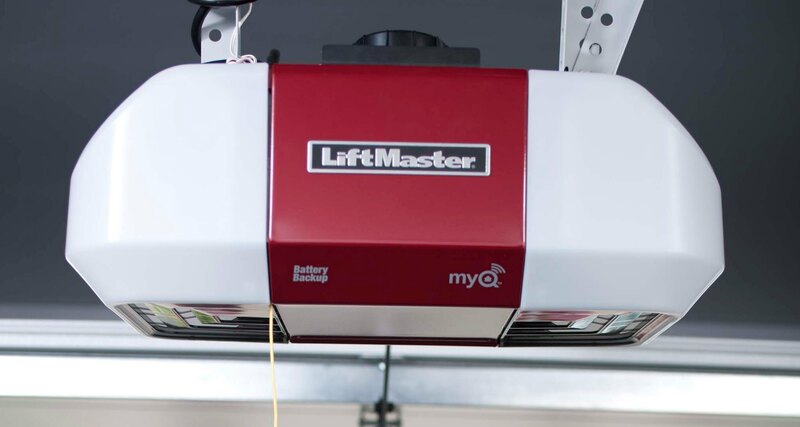 After countless openers repair and installation in Fairfax, from different garage openers brands, our preferred garage opener brand, which create garage openers that can last and serve you for 20 years and more (As long as the garage door itself is working fine), are the openers created by LIFT MASTER. Whether it is their powerful chain drive opener, their silent belt drive opener, ½ Horse power, or their commercial garage door openers, the Lift Master garage openers are from the kind that you can trust to do the job for many years, and as long as you garage door or roll up gate in Fairfax is working fine, the opener will last from many years. And this is the reason why we choose Lift Master as our preferred garage opener in Fairfax. Which garage opener to install? Let’s assume that you own a garage door in Washington DC, and you are interested in installing a new garage door opener. When searching online or asking around, you will find that there are many garage doors openers’ manufactures in Washington D.C., and many garage openers installers. You may consider purchasing the garage opener by yourself, and to contact a garage door contractor in Fairfax for the installation. Or you can contact a roll up door technician in Fairfax to supply you with a new opener and to perform the installation. We recommend you to use the same contractor to supply you with the opener, and to perform the installation, and we would like to explain why: When you purchase the opener form a different place, the installer will not take responsibility for the opener itself and the parts even if it is a Lift master you purchased in Fairfax. And if one day you will experience problems operating your Lift Master opener in Fairfax, the installer may not repair it under warranty sine he did not provide you with the opener. Another reason why it is always better to purchase the opener directly from the garage door installer, whether it is a new garage opener Northern Virginia or simple garage repair in Washington, is the type and kind of opener you will purchase. When the installer is at your location, he can see your garage door, and recommend to you which Lift Master opener will be the best for you, whether it is a chain drive opener a belt drive opener or a ¾ opener. We carry all kinds of Lift Master openers in Virginia, and we can provide you with an advice based on our experience which garage opener will be the right opener for you. 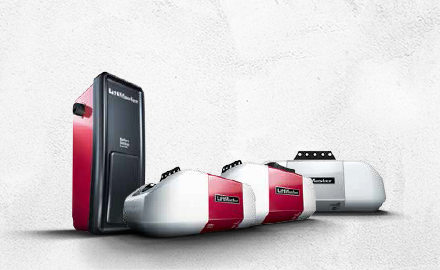 The garage opener installation process in Fairfax is an important part on your way to a new Lift Master garage opener. To get the right Lift Master opener is not enough to say that you got the best garage opener installation service in Fairfax, since if you purchased the best opener by yourself, but did not contact a professional garage opener installer, you will not get the quality that a Lift Master opener offer. You can go and but the best Lift Master opener in Fairfax, but if you will decide to install it by yourself without the proper tools and the knowledge, or use the services of a handyman which is not an experienced overhead doors technician, who dealt with Lift Master opener installation in the past in Fairfax, you will not get the full potential that a Lift Master opener can give you. We recommend you to purchase the opener and use the services of a garage installer in Fairfax, instead of purchasing the opener in one place, and then looking for someone who can install a new opener IN Fairfax for you. We offer both high quality Lift Master openers in Fairfax, and installation services for all kinds of garage openers, whether it is a roll up gate service in Fairfax VA, or a roll up door repair in Washington Fairfax. The Lift Master chain drive opener is our best seller in Virginia, and it will be our first choice when recommending our customers in Fairfax which opener to purchase (As long as the chain drive will fit their garage). It is a reliable and a strong opener, relatively easy to install and to operate, and as long as the door is working fine and being maintained on time, it should work for 20 years and more. It is one of the most popular residential garage opener in America, whether it is a garage door repair in www, or a garage door opener in Virginia. The Lift Master Chain drive garage opener in Fairfax is working with a steel belt (Looks like a bicycle chain) which is moving by the opener. And while moving along the rail, it move the trolley which is connected to the door itself, open and close the door whenever you need it to. If you are looking for parts for garage openers in Fairfax, you can contact Three States Garage Doors for a same day service. The chain drive opener in Fairfax is relatively easy to maintain and to program, and basic garage door maintenance - which should be performed every 6 months - will definitely protect it, improve the way it is working, and will ensure that the opener will continue to work like it does for many more years. We offer same day garage opener service, repair and installation for garage doors and roll up gate repairs in Fairfax. As we explained in the chain drive opener section, the chain drive opener in Fairfax is a strong and reliable garage opener, but although less popular than the chain drive opener, the belt drive Lift Master opener can still be found in many residential garages in Fairfax. 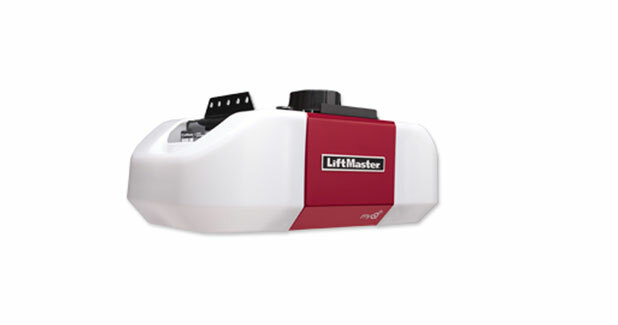 If you live in Fairfax, and you want your garage door to open and close in the most possible silent way, like if your garage door is located above the living room or the bedroom, or if it is important for you to have a silently operating garage opener, you should purchase the belt drive opener from Lift Master as your next garage door opener for your garage in Fairfax. Some garage owners in Fairfax do prefer to hear their garage door every time that someone open or close the door. If you are one of them, and you prefer to hear and know when someone uses your garage door in in Fairfax, we will recommend to stick to the chain drive opener. Which is considered to be relatively quiet, but a little noisier than the belt drive opener. Since the Lift master openers in Fairfax are considered to be strong, and with the right garage maintenance service can work for more than 20 years, they do not break and stop working very often. But sometime even the best Lift Master opener in Fairfax can stop working and get stuck. But that doesn’t mean that there is something wrong with the opener itself. There are many possible reasons that can stop a garage door in Fairfax from working properly, and the opener is only one of them. In many cases it is not the Lift master opener that prevent the door from working properly, but it is actually a problem with the garage mechanism, that can happen for every garage door in Fairfax. If there is a problem with the garage mechanism itself, and it doesn’t really matter if you are looking for someone who fix overhead door in Fairfax or someone who fix garage doors in Alexandria VA, it affect the way the opener works, and if you did not locate the problem itself, it may seem to you that the problem is actually from the opener, when it is actually a different problem. Since the force which open and close the garage door is not the opener (Whether it is a Lift Master or other brand, but it is actually the spring system, and that is the reason why sometime even the heaviest garage doors in Fairfax can be lifted easily even when you use them manually. Now that we explained that, you understand that sometime it may seem to you like there is a problem with your garage opener, when it is actually a problem with the door’s mechanism. And that apply to all garage doors, whether in Fairfax or a garage door repair in Northern Virginia. One feature of the Lift Master belt drive opener in Fairfax is a battery backup. It is recommended for garages in Fairfax which does not have an access into the garage beside the garage door itself, and in cases when there is no electricity power to the garage, you still want to be able to use the garage door using the opener. The Battery backup is charging until it is full, and when it is needed, it provide you a temporary solution to open and close the garage door in Fairfax even if there is no power in the garage. We supply and install garage openers in Fairfax with battery backup, all you need to do is to contact us for a same day service in in Fairfax. We offer all kinds of roll up doors repairs in Fairfax: From Lift Master opener repair and installation, to garage door repairs and installation, with our same day repairs service we can fix any roll up door issue today. Even the best and the strongest Lift Master opener need some maintenance and adjustments from time to time. Luckily, not every garage opener problem in Fairfax require to install a new garage opener, but at the same time, not every problem that can be repaired will always be the best decision. We use our experience in repairing roll up doors in Fairfax to determine whether to repair the opener, or to install a new opener. There are opener issues that you fix by yourself, and that you do not need a garage door specialist in Fairfax in order to solve them, and there are problems that you will have to find a garage door supplier in Virginia in order to address the problem. The important thing is to always make sure that you know what you are doing, and if you are not sure, to contact a local garage door repairman, whether it is a rolling gate repair in Fairfax VA, or a garage door service in Fairfax. Garage door troubleshooting is not the place to guess and take risks. A garage door which is not safe for use can be dangerous, and can create big damage and even injuries. With our same day roll up gate repairs in Fairfax, we can fix the problem today. Lift Master belt repair Fairfax. New Lift Master opener installation Fairfax. Lift Master safety sensor repairs Fairfax. Lift Master Key Pad repair. Lift Master residential and commercial repair.